Book your stay in our hotel near the Brookfield Zoo to enjoy an exciting day at one of Chicago’s top attractions. 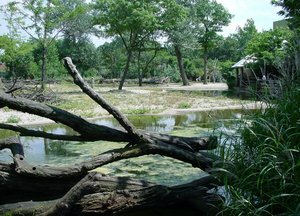 Originally opened to the public in June 1934, the zoo was revolutionary in its choice to separate animals from visitors and each other by using moats and ditches instead of cages. Additionally, they gained international notoriety for being the first zoo in America to feature giant pandas, the first indoor dolphin exhibit, and the first fully indoor rainforest simulation. Clarion Inn Elmhurst - Oakbrook is just 10 miles away from the zoo! Hop in the car with the whole family, take S Riverside Dr and turn left onto IL-83 S, take the Oak Brook Road/31st Street exit, then take a slight right onto Grand Blvd. At the traffic circle, take the exit onto Washington Ave then turn left onto Golf Rd. Our hotel near the Brookfield Zoo in Chicago provides guests with easy access to this major Chicago attraction. Check out the important information below to learn more about the zoo as you plan your trip! 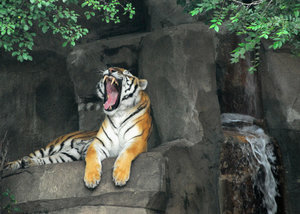 Saturday-Sunday: 10:00 a.m. - 6:00 p.m.
Today, guests can explore the 216-acre park, which features over 2,000 animals. The zoo features 20 permanent exhibits, each offering a unique look at a specific habitat and its inhabitants. Visit the Big Cats exhibit to check out some of the world’s largest lions, leopards, and tigers, or visit the underwater viewing room at the Seven Seas Dolphinarium to see some of your favorite aquatic creatures up close! In addition to their regular exhibits, the zoo hosts a number of special exhibits throughout the year. Make sure to check out their website to learn more about upcoming events and exhibits at the Brookfield Zoo! Book your stay at our hotel near the Brookfield Zoo today to enjoy comfortable, affordable accommodations close to one of the nation’s best zoos!